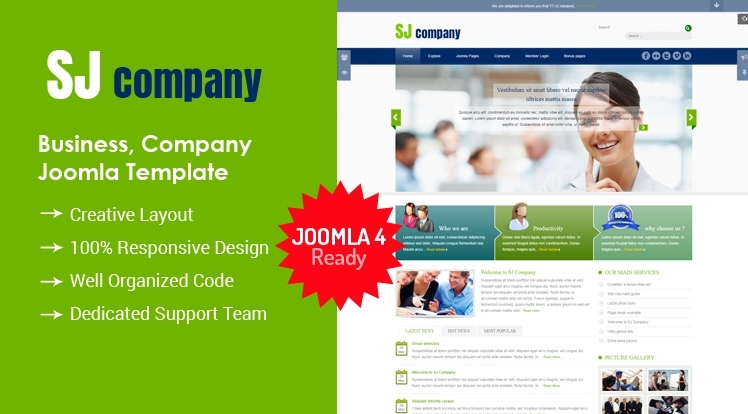 Sj Company is a business responsive Joomla template made for Joomla! 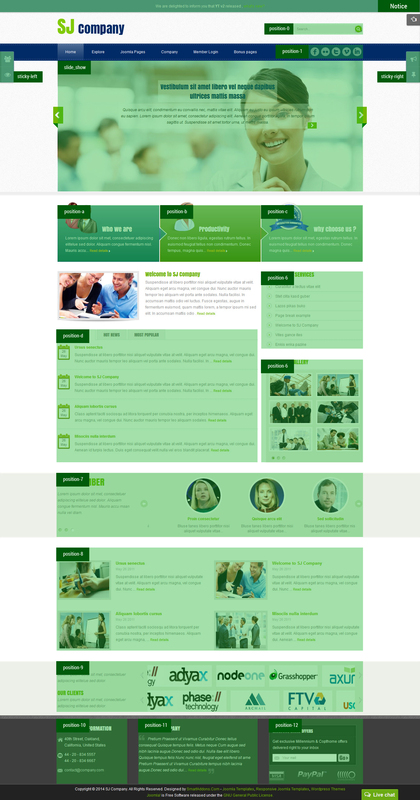 3.x and Joomla 2.5.x. Designed with luxurious and elegant colors, and integrated with many SJ modules allowing to show portfolios and galleries, this template is suitable for corporate Websites with very large portfolio and modern picture showcase.